Read more about the Dan Wolz Clean Water Education Grant here, and find out how to apply through the Michigan Science Teachers Association here. Teacher Grants from the Youth Education Committee. Each year the Committee gives away (2) $1,000 grants to teachers for water-related projects or activities. Applications are due April of each year. Michigan Water Stewardship Website for easy-to-find resources for educators on a wide range of environmental topics. These materials are for a variety of ages from pre-school to adult. It's never too early to get involved in protecting the global water environment! Michigan Watershed Teaching Guide - An Introduction to Michigan Watersheds, for teachers, students, and residents. 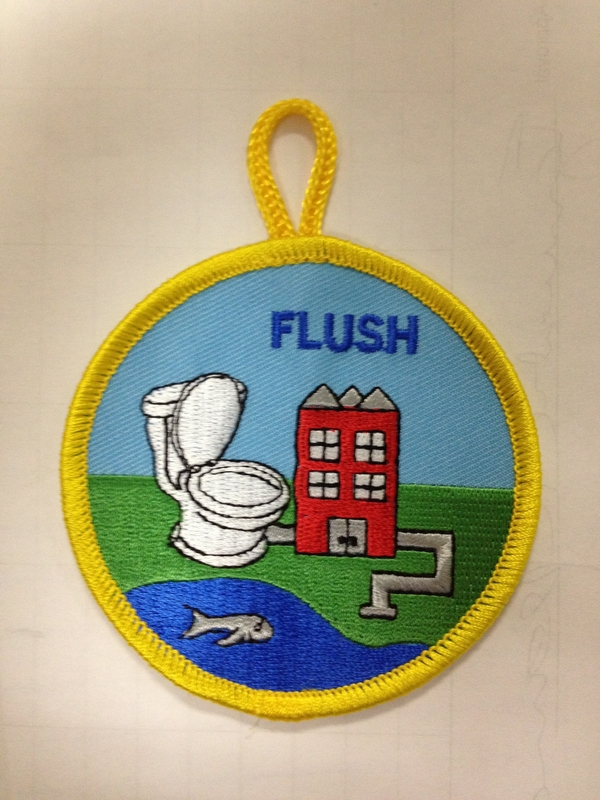 Flush Program - Information about guided tours for Boy Scouts, Girl Scouts and their parents to local Wastewater and Drinking Water Plants. Scouts will have fun while learning about the science of water, water infrastructure and the importance of this natural resource. Scouts can earn a merit patch for attending the tour. Michigan Public Act 301 of 2010 revised the law governing how Michigan schools achieve Michigan Green School status. Michigan Public Act 301 of 2010 includes new provisions that allow for schools to attain multiple levels of Michigan Green School certification, complete new activities and be creative in developing their own activities. Schools that wish to develop their own activities need to contact their county coordinator for approval by December 1st. For the specifics on becoming a Michigan Green School please continue on to the Green Activities page and to the Application page.